Late running Rovers fans were startled to see a large fire in Port Glasgow being dealt with by the Fire Brigade. The Rovers lined up without Louis Longridge and Harry Panayiotou who missed the trip to a rainy Greenock instead preparing for the Sugar Boyz match with Aruba. 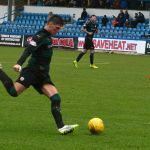 No-one could be jealous of that… Louis was on the bench as Mark Stewart and Iain Davidson came in and pre-contract signing Bobby Barr lined up for the home side. Since your correspondents last visit the front of the rather rustic main stand had been replaced, a rare improvement in a ground that I’ve been visiting since the late eighties. 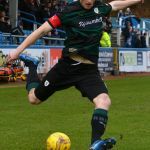 In the 4th minute a long throw from McKeown was flicked on invitingly for Stewart at the back post but stretching the form front man skied his effort. Both sides tried to gain the upper hand early on without success. 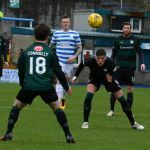 The 19th minute saw a move all the way from the back beginning with a short throw from Cuthbert, the ball moved forward to Connolly who just over hit an inviting pass for Stewart. 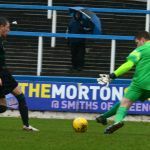 Ross Callachan – who worked hard all game – got on the end of a half clearance and after a touch volleyed an effort from 22 yards which forced the first save. 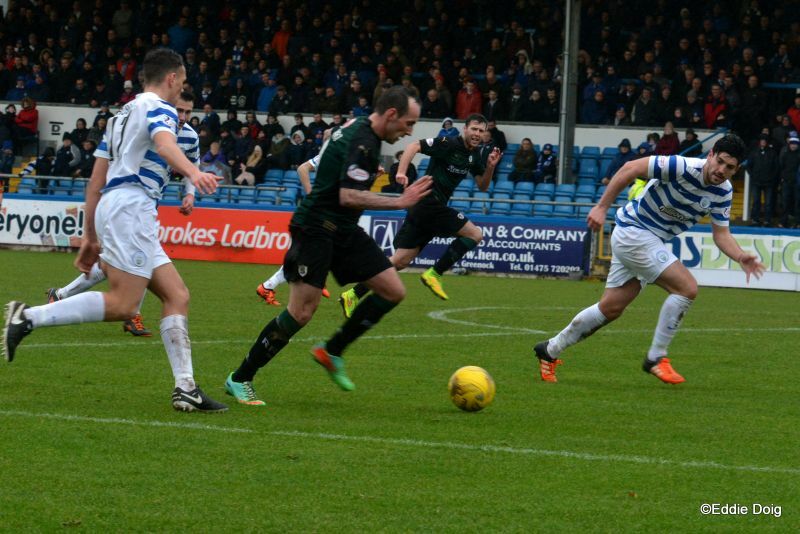 McClusky got space wide from where his wayward shot didn’t test Cuthbert. 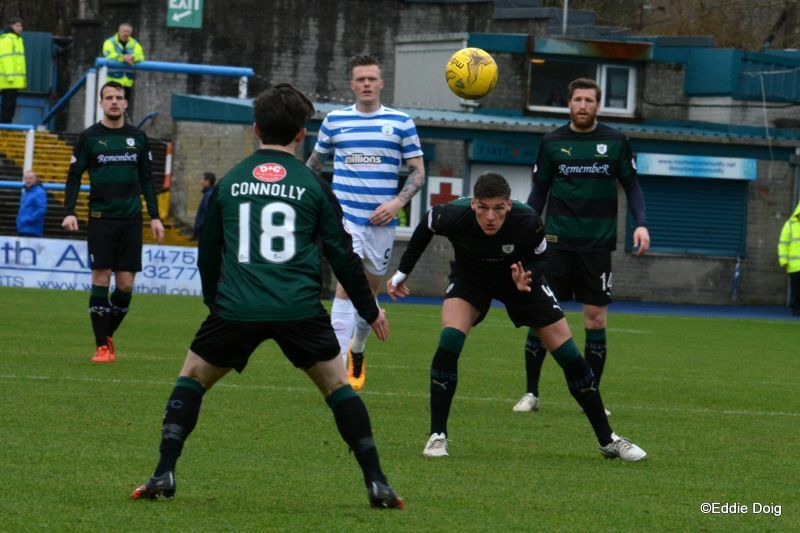 Morton then fired a free kick into a Rovers wall before Callachan’s free kick into the box was headed by a defender off a defender and nearly fell for Connolly 16 yards out. In the 31st minute the home keeper Gaston failed to control a ball at the sideline and should have been penalised but the linesman saved his blushes by not awarding the Rovers a corner. The man with the flag then decided that despite Callachan running onto a ball in front of the official and the young midfielder being scythed down by a despairing challenge that he had dived rather than continue unhindered into the danger zone… Ross was unfortunate to be booked, the home man not unfortunate in the least. In the 35th minute the Rovers looked to attack, Connolly in the middle had men running wide on either side and support near him but dwelt on the ball and lost it. Caught on the counter Cuthbert had to look sharp to mop up. This proceeded the home sides best spell as they pushed for the opener – a low shot followed some head tennis then a low cross hit Benedictus and flashed across goal. 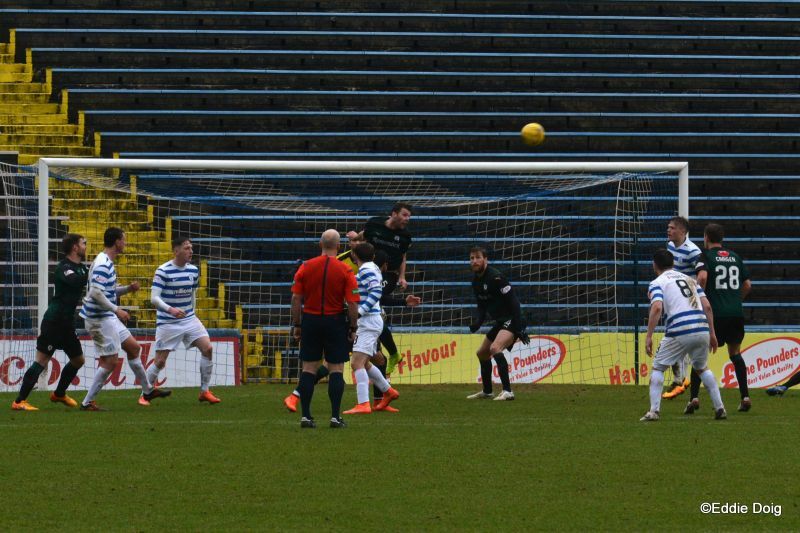 A deft little flick over Thomson saw our Barr block a cross wide but the corner came to nothing. 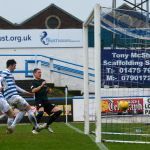 As the half wound down a Rovers free kick was cleared and despite Craigen’s balletic attempt to block it the visitors were pleased to see the counter attack stopped by an offside flag. During half time the rain got heavier and despite that smoke was still visible rising from the fire to the east. 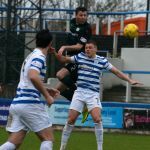 Callachan sent in a low shot that was no threat as the Tons Ross Forbes tried to impose himself on the match by fouling. 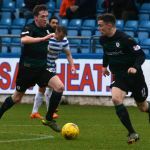 In the 53rd minute Craigen passed to Callachan who disguised his return pass well splitting the defence. 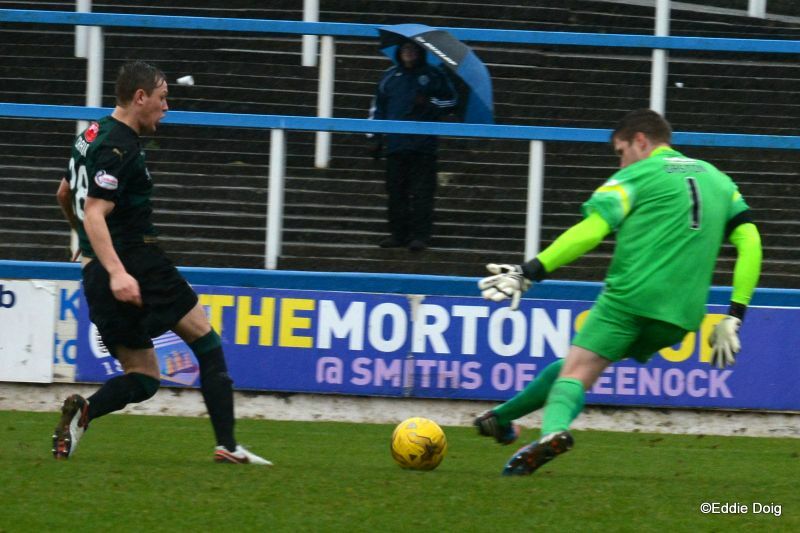 James Craigen skipped past the out rushing, exposed keeper and slid the ball into the empty net for the opener. 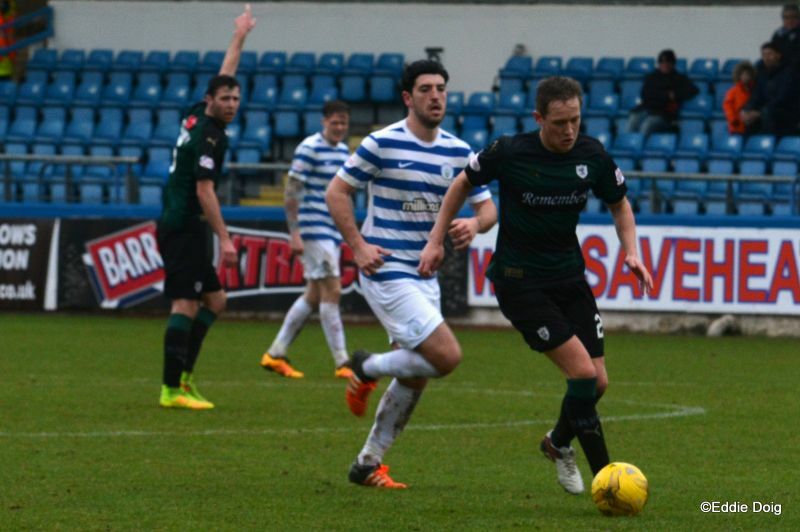 It was a well worked goal and for a time knocked the stuffing out of the home side. 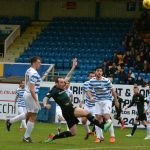 McManus saw a shot blocked up and over then Russell saw Cuthbert touch a vicious effort over just to be on the safe side. The following corner saw a low ball whip across the six yard box which Benedictus missed and he turned concerned to see no-one behind him but relieved Rovers fans. 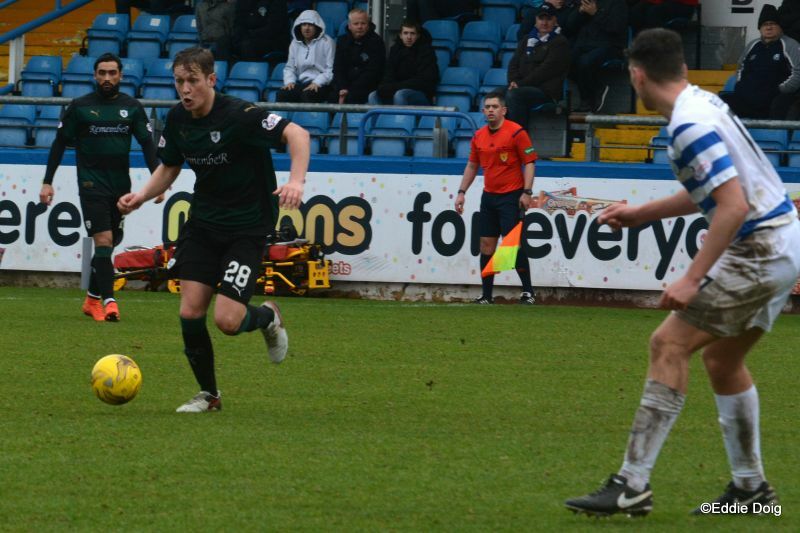 Just after the hour a good Raith move saw Connolly’s cross knocked away. At the other end our Barr moved to block a shot just in front of him, the ball struck his upper arm and body but despite the protestations of the home side any decision other than ball played man would have been an injustice. 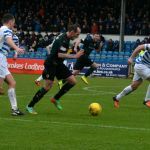 Stewart was putting in a good shift up top and his efforts in the box nearly fed Toshney in space but the ball eluded the big man. Declan McManus who’s on loan from Steven “Elvis” Pressley’s Fleetwood scuffed a cross into the six yard box which Cuthbert collected with ease. 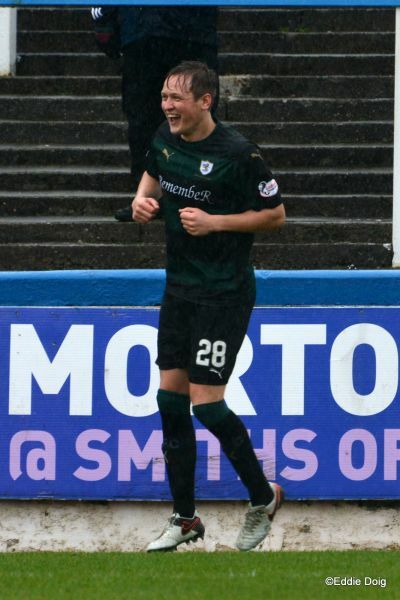 The loanee – who shares his name with Elvis Costello – looked annoyed. He was even more disgruntled when he fired low and wide a minute later. Callachan fed Craigen wide who’s chip was watched go over by the beaten keeper. 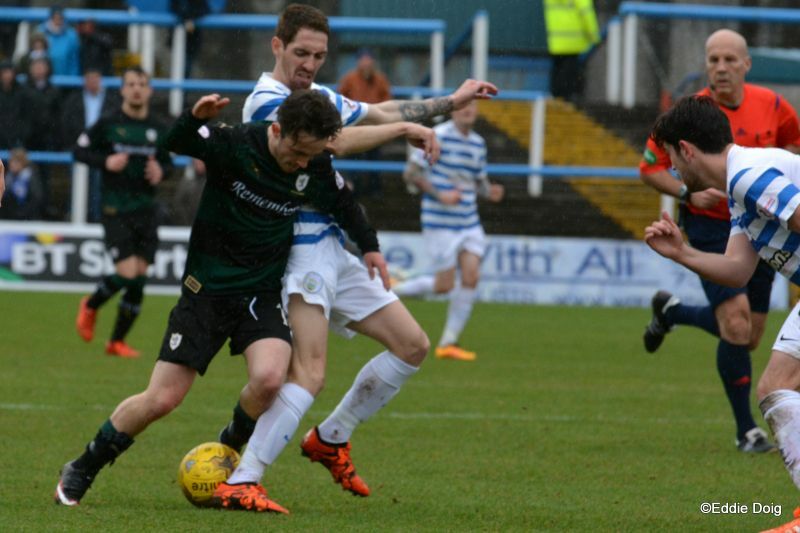 Next McManus should perhaps have swapped standing up for falling down as he lunged studs up at a Rovers man in front of the rightly incensed Visiting support. He was booked and seemed to have reached a point where he thought he’d need help from an army, perhaps Oliver’s, before would hit the net. McKeown was unlucky to be booked for kicking the ball away when it didn’t look like he’d meant to then Longridge and Thomas came on for Connolly and Stewart. 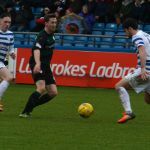 Longridge was soon after booked for kicking the ball away – with rather less case for the defence than Rory. Joel Thomas seemed more than happy to use the opportunity to showcase his skills and turned nothing into something out wide teasing and tormenting a Ton man. This was something he kept up, to the amusement of the travelling fans displaying how he can use his size and close control to frustrate defenders beating one home man twice with distain. As time wound down O’Ware put an effort up and over from 16 yards in a congested box then Longridge just over hit a pass Thomas was running onto. 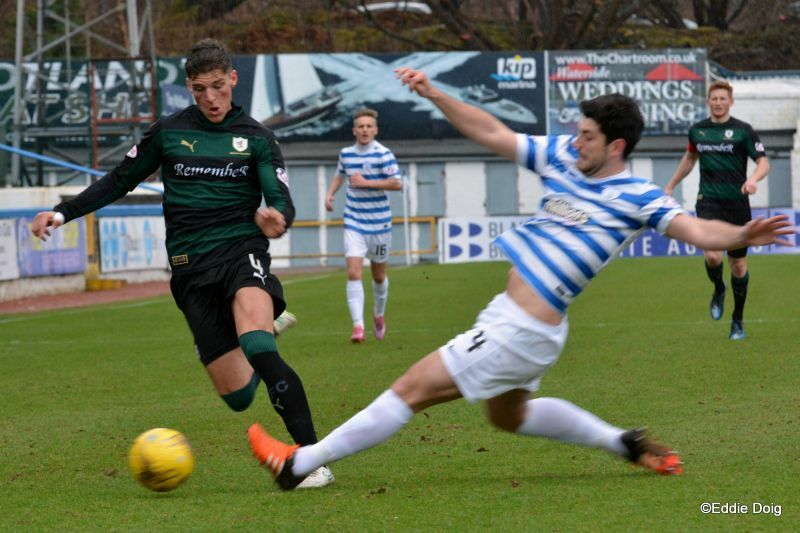 Forbes was rightly booked then ran at the Rovers defence but his feeble shot was that of a tired beaten man. Thomas had a shot half blocked just before then the game ended. 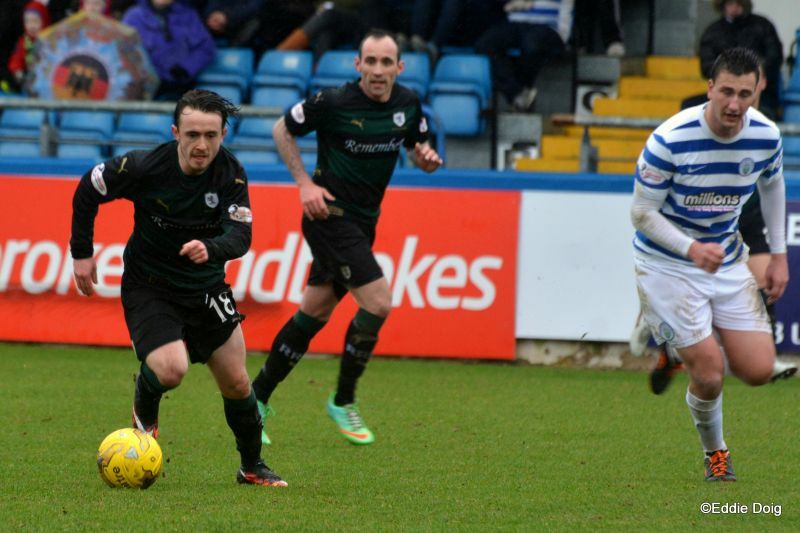 Morton don’t have a good record against the Rovers lately and the Raith fans came home having claimed all twelve points from them this season. 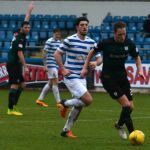 Morton however have had a decent return after coming up from a league where they faced no competition of any merit last year. 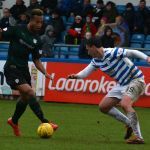 The Rovers no-longer need to add many if’s to discussions about making the playoffs – keeping on winning will do more than nicely. 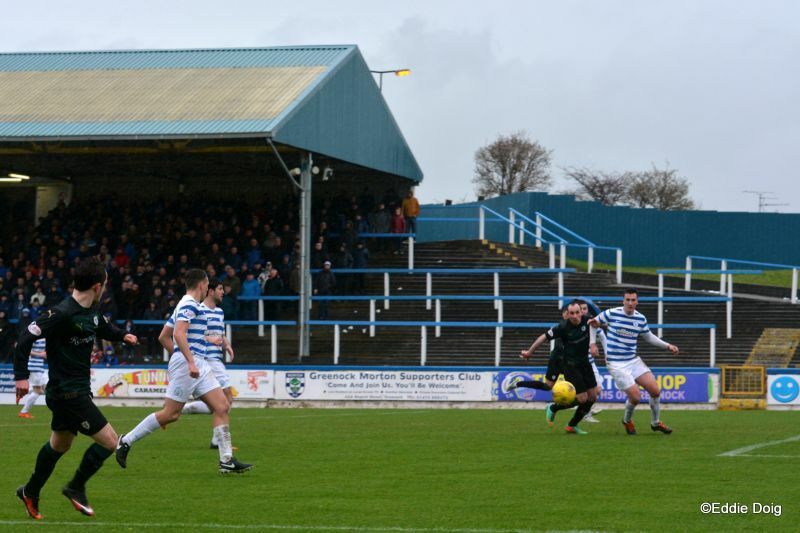 Welcome to Cappielow, it's 10 degrees and slowly drizzling with rain. 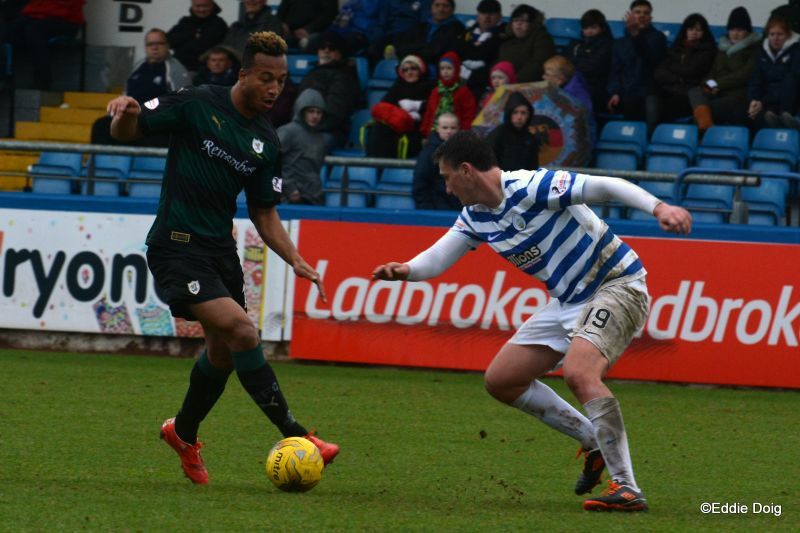 Rovers last 10 league games include 6 wins, 2 draws and two defeats, both of Rangers. 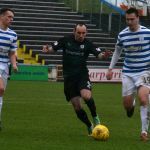 Morton have 5 wins 2 draws and 3 defeats. Since the Championship began Rovers have a (WDL) record of 5 2 0 over Morton. 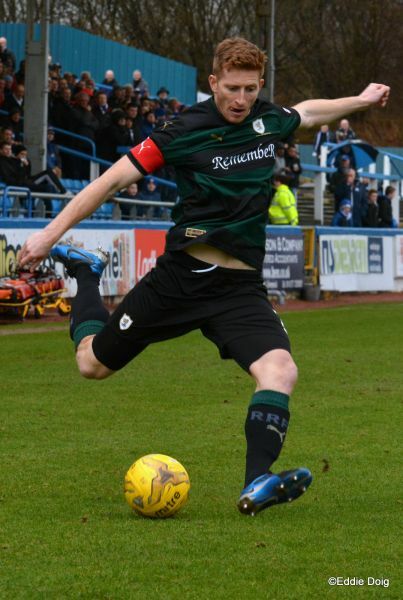 Rovers will be wearing the RemembeR strip today. The sun has graced us with it's presence. Rovers kick off towards the Wee Dublin end. 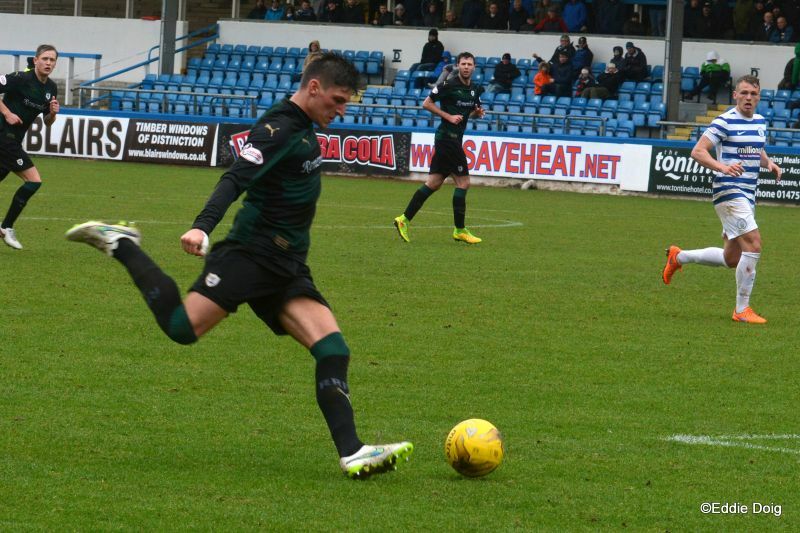 From a corner Barr flicks onto Stewart who toes the ball over the bar. 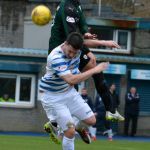 Thomson getting the better of the other Barr in a tussle. 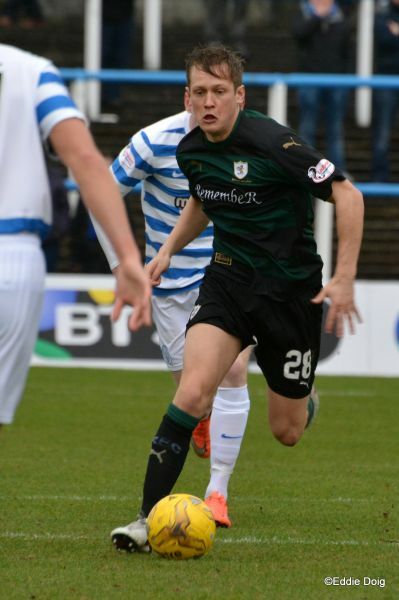 Geordie Munro enters the fray. 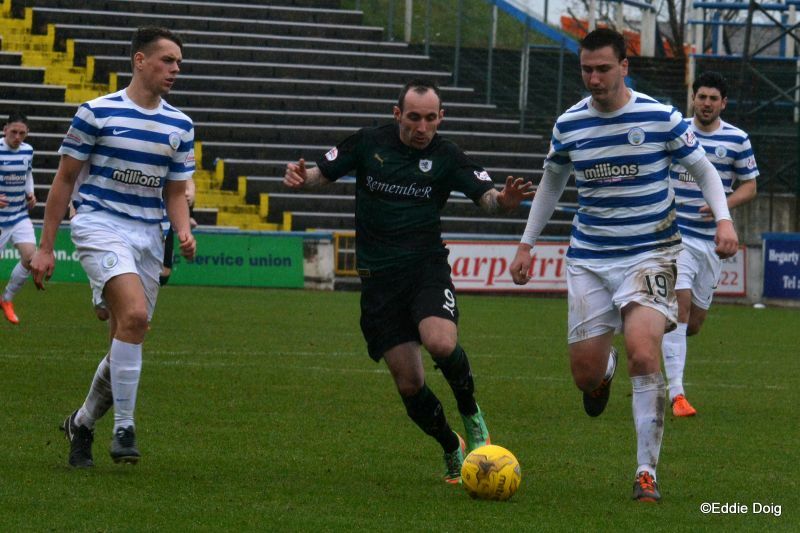 Callachan, Craigen and Stewart combined well, the latter marginally offside. The rain is back on, it's coming down in sheets. 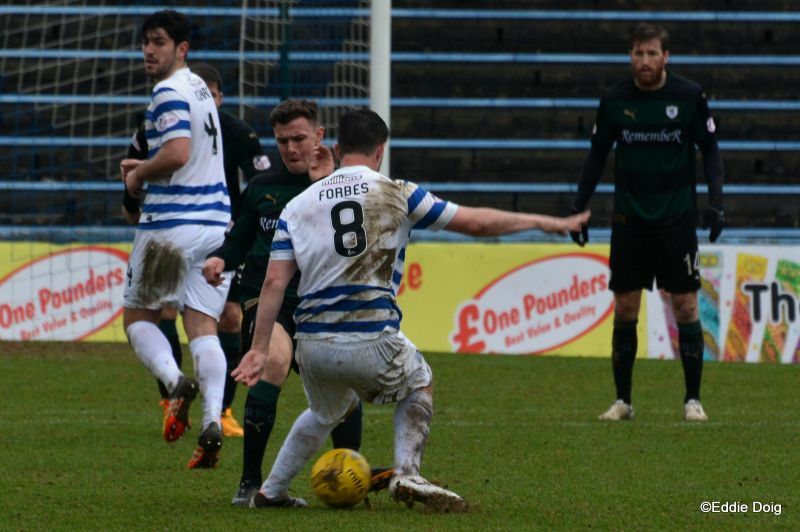 Forbes sees his free kick sail over the bar from 30 yards out. Cuthbert rushes out to smother the ball from the in rushing McCluskey. Battle of the giants in the Morton area from a corner, this time the hosts prevail. Barr heads wide from a long Callachan free kick. 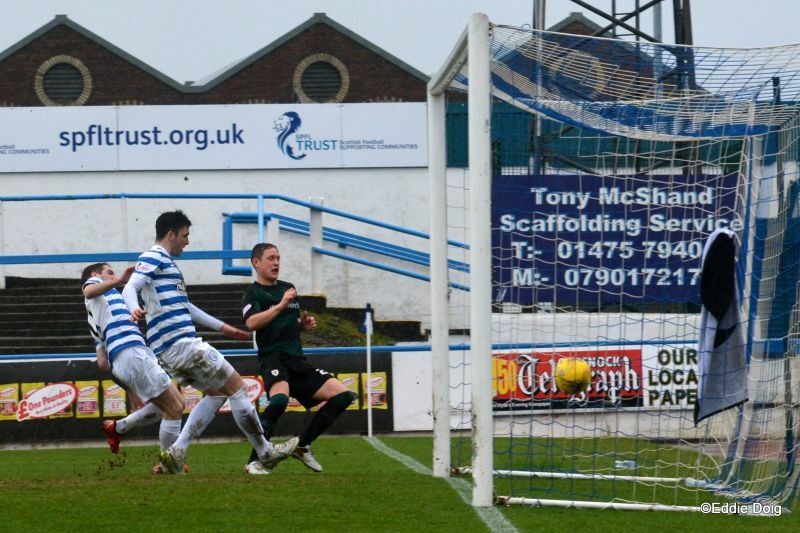 Ray barking out orders as Morton play deep. From a free kick Barr heads out to Callachan who tests Gaston from the edge of the D.
Callachan, Stewart and Craigen working well the pass to the latter a yard too short for a breakaway. Connolly back defending at the corner denying B Barr. B Barr trying to latch on to a back pass from Benedictus loses out as Cuthbert clears. 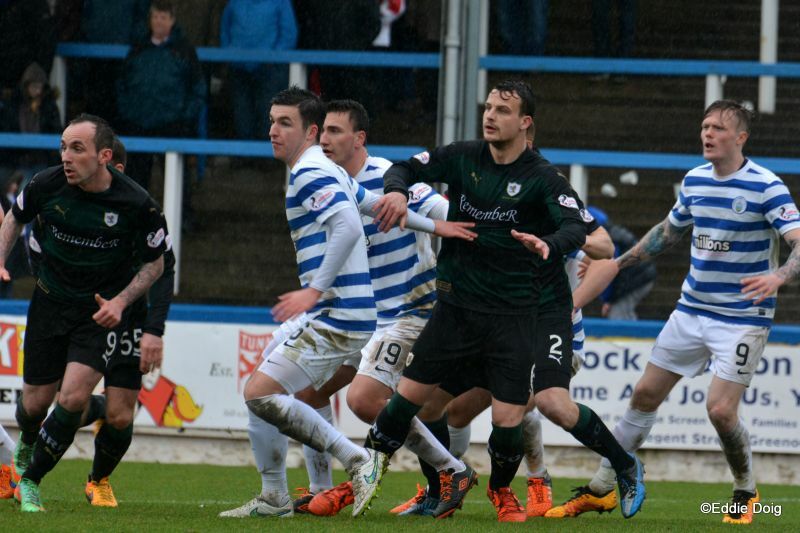 Johnstone fires in a cross and three Morton players contrived to miss. 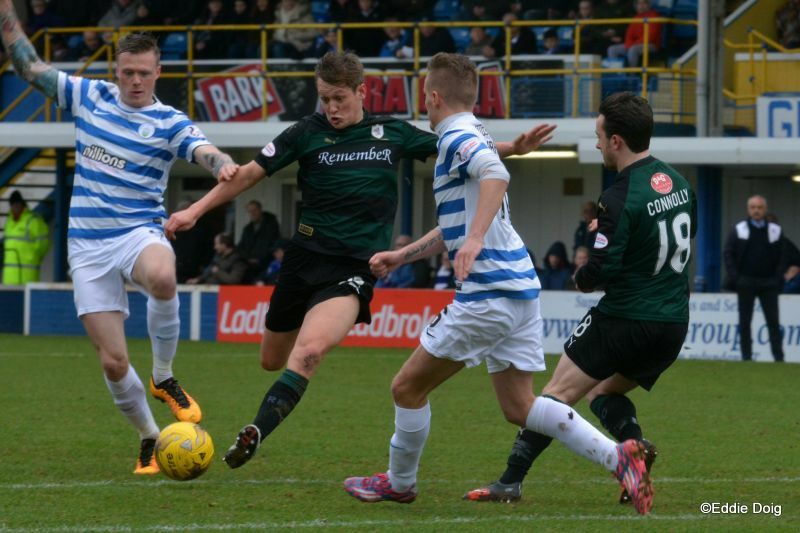 Callachan blocked a McCluskey shot in the area. A brilliant reactive save from Cuthbert as a cross rockets off Benedictus and was goal bound but for the reaction of the Cat. The rain is back on. Mr Finnie restarts the game. Rovers playing into the rain. Goal mouth action at both ends, the keepers clearing with ease. 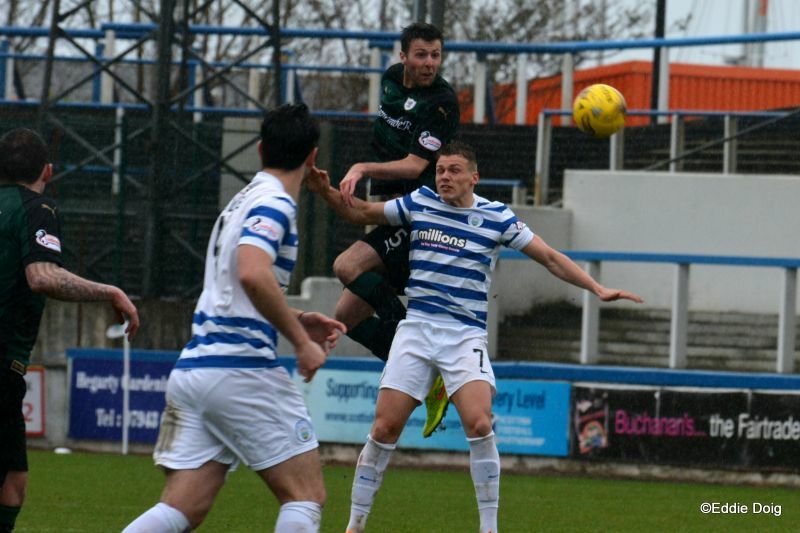 A rarity these days, a foul throw, from Morton. Just over 200 travelling fans today. Connolly slides the ball into the box, a mistake from Gaston let Craigen round the stranded keeper and slot home at the back post. 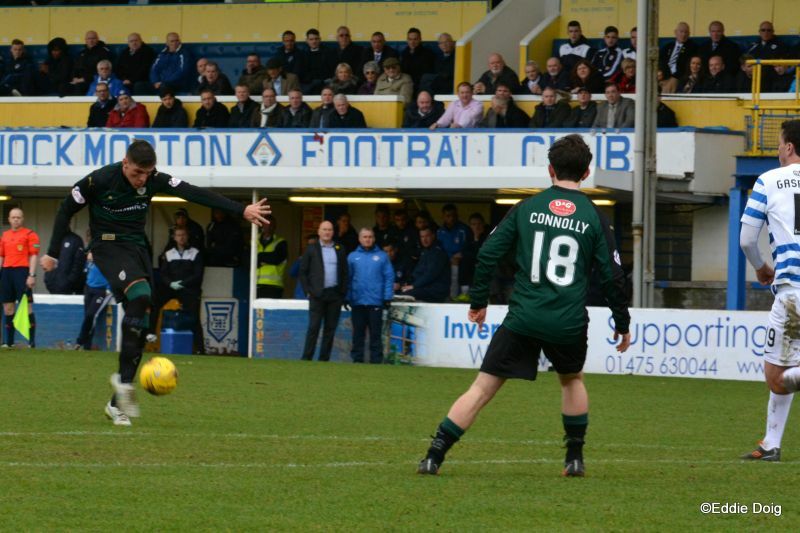 Thomson heads wide from Connolly's free kick. 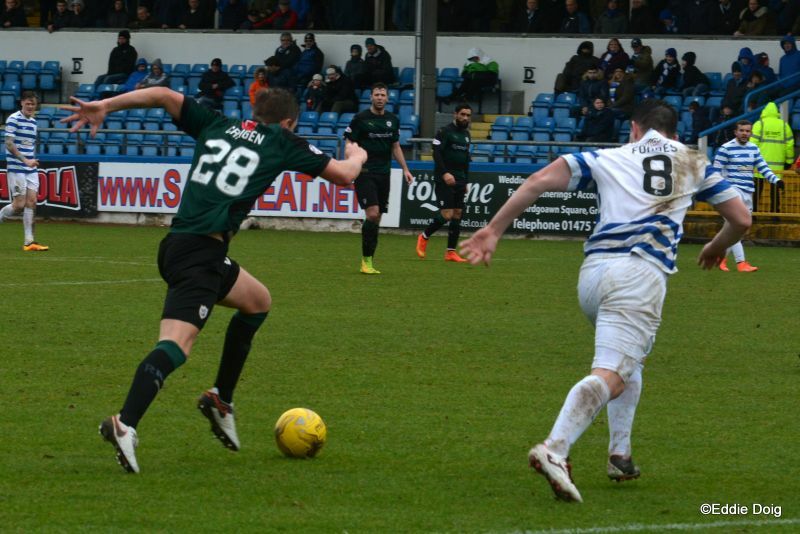 McManus fires in from 25 yards and wins a corner, Cuthbert comfortably collects and recycled the ball. McCluskey shooting from 30 forcing a fingertip save from Cuthbert for a corner. 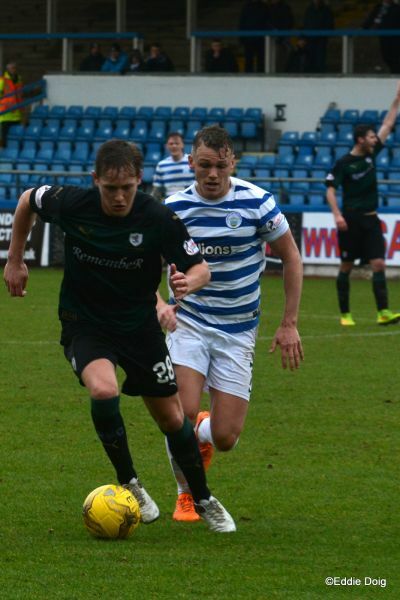 Rovers edging the game so far. Home crowd howls for a penalty, Mr Finnie waves on play. Mr Finnie has a word with Connolly. 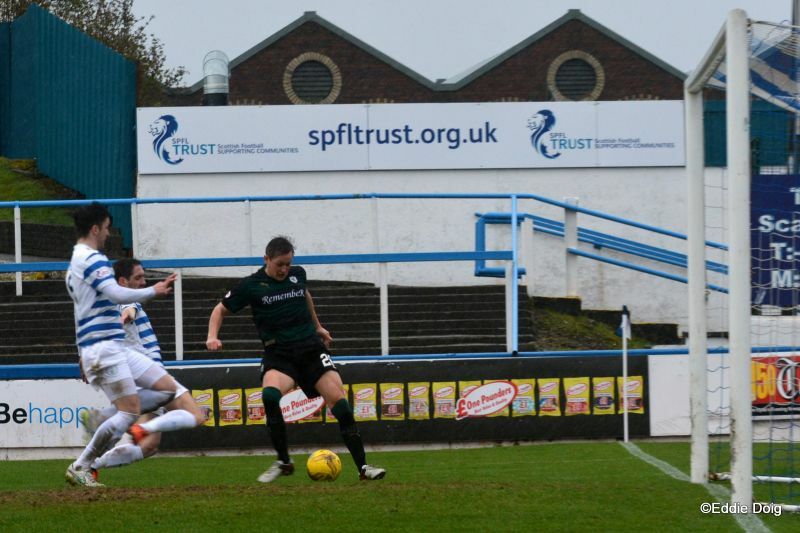 Cuthbert diving in the 6 yard box to cut out a cross from McManus. 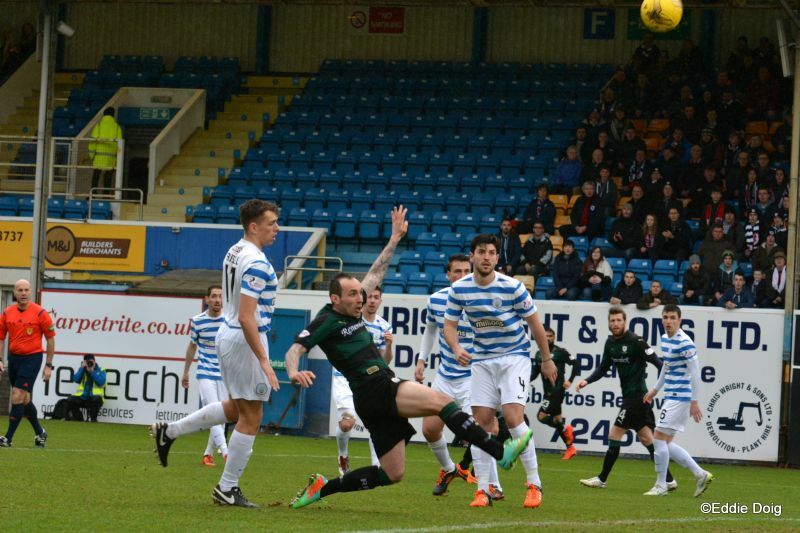 McManus fires just past the near post. 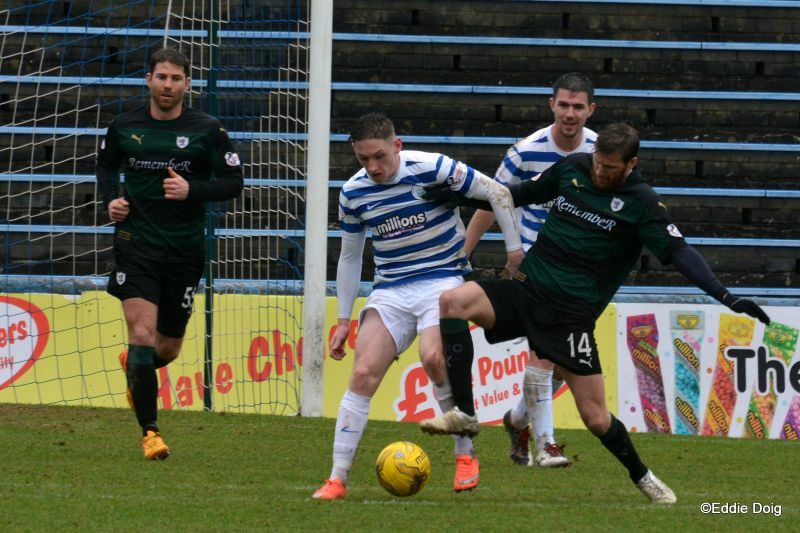 Craigen attempts to chip Gaston but watched his effort go over the back upright. 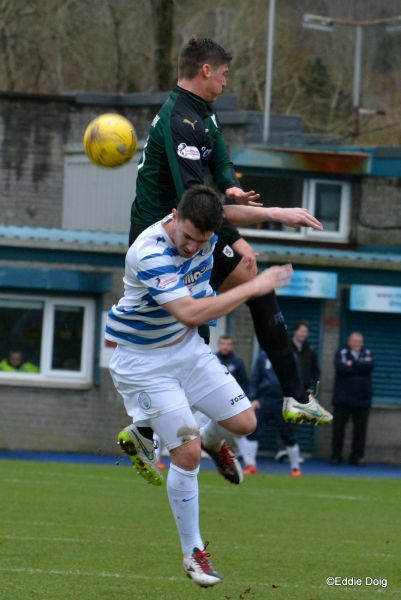 McManus yellow for a foul. McCluskey and Barr off, Samuel and McMullan on. McKeown yellow for accidentally kicking the ball away. 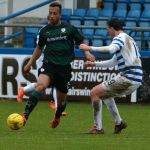 O'Ware heads narrowly wide of the back post. Stewart and Connolly off, Longridge and Thomas on. Longridge yellow for kicking the ball away. 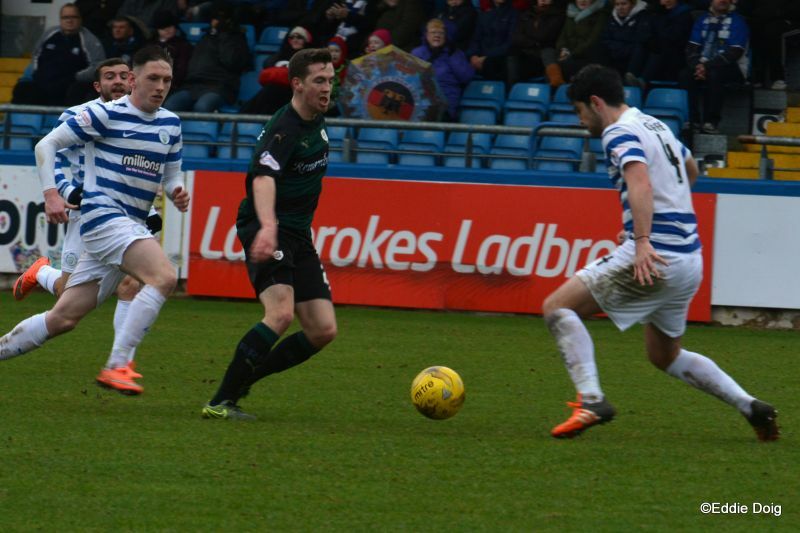 Rovers trying to keep the ball in the Morton half. 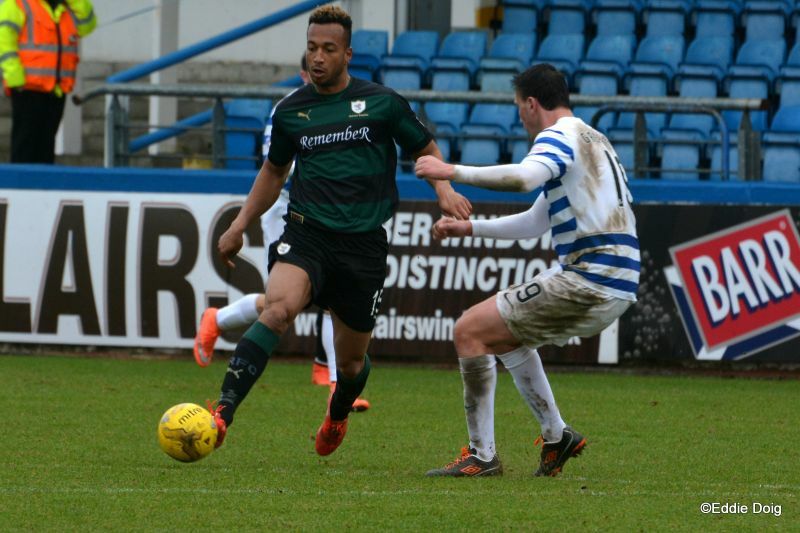 O'Ware hits the ball over the bar from 30 yards, the ball coming off the outside of his outstretched foot. Forbes yellow for kicking the ball away. 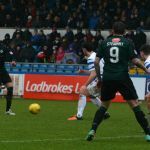 Forbes kicked the ball into the Rovers technical area. +1 Rovers supporters in full voice. Rovers go 13 points clear of our hosts who put in a tenacious performance against a side who have beaten them by a single goal for the fourth time this season. 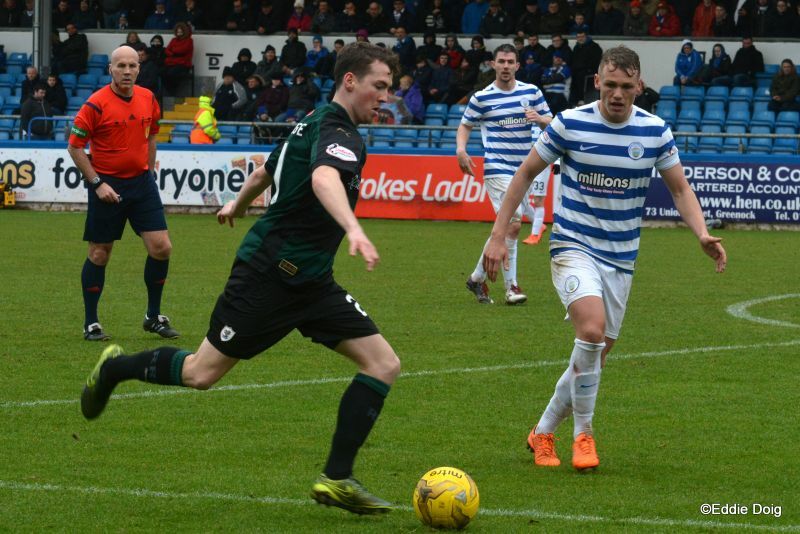 Gaston, O'Ware, Miller, McKee, Forbes, Johnstone, McCluskey, Barr, Russell, Gasparatto, McManus. Subs, McNeil, Kilday, Lamie, MacDonald, Scullion, Samuel, McMullan. 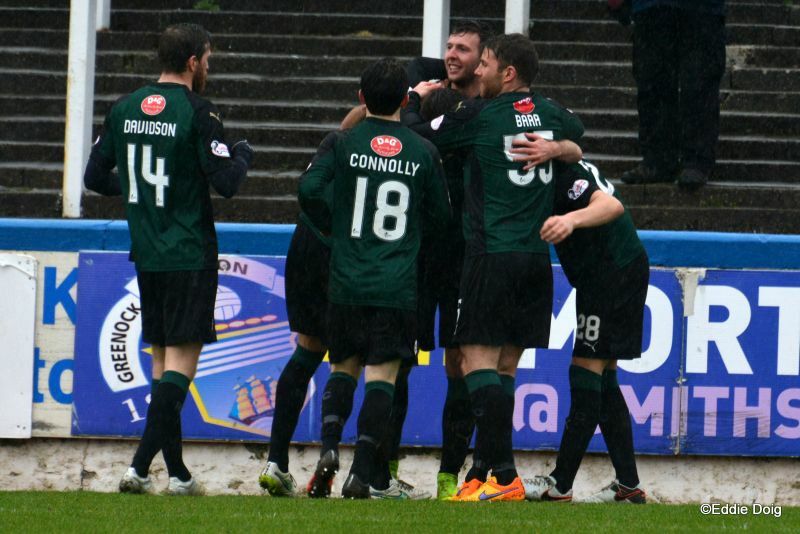 Cuthbert, Thomson, Callachan, Toshney, Benedictus, Stewart, Davidson, Connolly, McKeowan, Craigen, Barr. Subs, Law, Anderson, McCord, Matthews, Longridge, Thomas, Court. 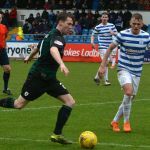 The month of March may have been a hectic one for Raith Rovers, but it’s also been a successful one so far, with four wins and a draw since losing to Rangers. 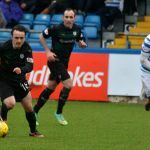 They’ll be looking to end it on a high too, with a visit to Cappielow this Saturday to face Morton, the side that’s their closest challengers in the race for fourth. 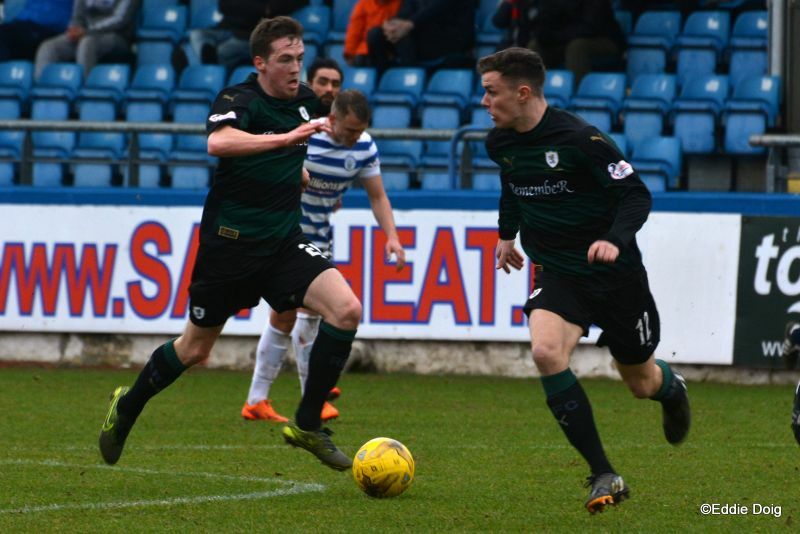 The gap between them now sits at ten points, thanks in part to Rovers excellent 2-1 win on Tuesday night against St. Mirren at the Paisley 2021 Stadium. 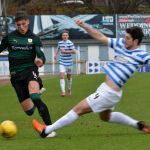 First-half goals from Aidan Connolly and Ross Callachan eased Rovers into a two-goal lead, and while Alex Cooper’s goal at the tail-end of the half made for a nervy second-period, Rovers always looked comfortable in an assured performance. 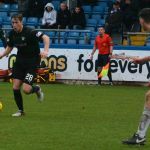 It was a result which left Raith closer to third than fourth, with just seven points between themselves and Hibernian, albeit the Leith side have played two games fewer. 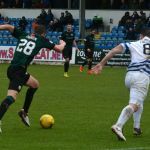 However, with just six games remaining for Rovers and Morton, only a win for Jim Duffy’s side will do this Saturday, if they are to retain a glimmer of hope for play-off qualification. 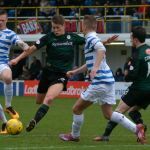 If they’re to achieve that however, they’ll have to do so against a Raith side who have been something of a bogey team in recent seasons. 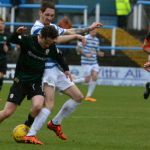 Morton have won just twice in the last 20 league meetings between the pair, with the Langtoun club unbeaten in the last eight meetings, with six wins and two draws. 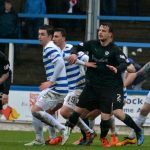 That said, the contests are almost always tight affairs, with the last match to be won by a winning margin of more than one goal back in 2012, a 3-1 win for Rovers at Cappielow, with Rovers goals coming from Jamie Walker and a Pat Clarke double. 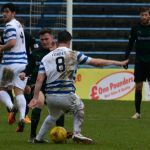 Close contests have certainly been the theme this season, and for Morton fans, the three defeats they’ve sustained to Rovers during the campaign must have been frustrating affairs. 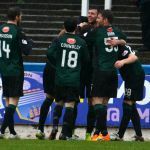 All three have been won by Ray McKinnon’s men in the 89th minute or later, with the first meeting the latest of the lot, Jason Thomson scoring four minutes into injury-time, after Mark Stewart had placed Rovers in-front, only for Tom O’ware to nick an equaliser with eight minutes remaining. 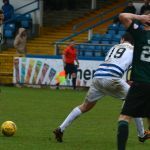 The return fixture in December followed a slightly different path, with Morton taking a deserved lead into the interval thanks to a goal from Alex Samuel, but a deflected goal from Ross Callachan and last-minute penalty from James Craigen sealed all three points. The meeting in February was the most exciting of the bunch. 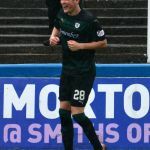 Declan McManus scored two equalisers after Rory McKeown and Aidan Connolly had twice given Raith the lead, but a composed finish from Ryan Hardie in the 89th minute gave Raith another three points.